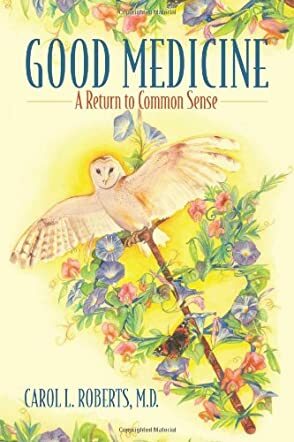 Good Medicine is an interesting overview of alternative medicine. Author Dr. Carol L. Roberts offers readers an informed look at health method they may never have considered. Many major illnesses could be prevented with a commonsense approach. Currently there is an influx of information concerning nutrition and our health. At times the amount of information may seem overwhelming. This book's approach puts it in common sense terms. Roberts' hypothesis is most of our health problems stems from our digestive system. She includes thyroiditis in this category. She also addresses man made toxins and the harm, they are doing to millions. Liver damage and asthma can be linked to toxins. There is a section on which vitamins you should and should not be taking. Roberts believes in treating the whole body, physical, spiritual, and mental. She stressed the benefits of touch. I have long been an advocate for alternative medicine, including herbal, energy and touch. I had never heard of some of the methods discussed in this book. I strongly believe conventional health care is important and should not be neglected. However, alternative and conventional can work together successfully. This book is written in an easy to understand style. I suggest the reader ponder the information and then make an informed decision.